At last, it’s the Top 10. I apologize for not having this done sooner, but it’s finally here. 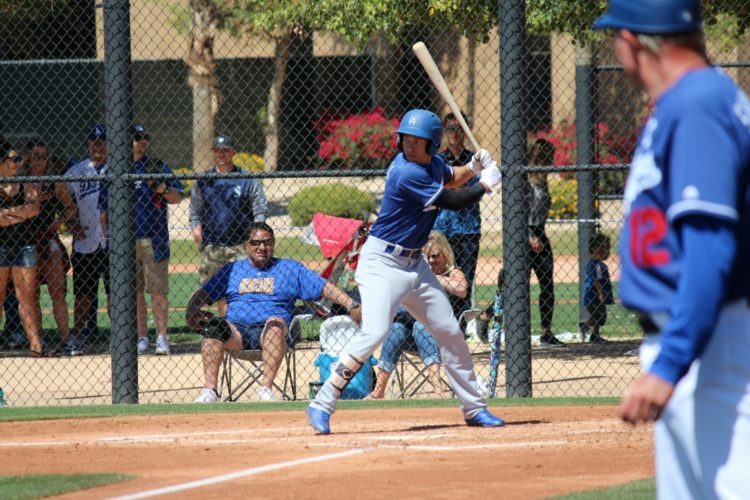 Despite the Dodgers graduating premium prospects like Corey Seager, Cody Bellinger and Julio Urias in recent years, there are still a ton of quality, future Major Leaguers in this crop. No one has the future value that trio had, but that doesn’t mean there aren’t quality prospects. Like last year, I’ve tried to do actual reports on the prospects. Still, I tend to get a little long-winded in the summary section. But I hope this works and makes the post easier to read, on the whole. This is to show what value a player might provide at the MLB level. They may not all make it, but these are all quality prospects. Before we get to the Top 10, I have some housekeeping to attend to. Since I started my Top 100, four players who were ranked are no longer with the organization. Right-hander Adam Bray (No. 55) and outfielders Ariel Sandoval (No. 78) and Johan Mieses (No. 91) were traded — Bray to the Twins, Sandoval to the Mariners, Mieses to the Cardinals (for 70-grade name utility infielder Breyvic Valera) — while Luis Paz (No. 74) was outright released. It was a little surprising seeing him, in particular, released as he had some pop in his left-handed bat and even attempted to include catching in his defensive profile. The Dodgers also added JT Chargois from the Twins. If I had to include him, he’d have ranked in the 40-31 range. If you want a true bit of hindsight, after seeing him perform in spring training and break camp with the MLB team, I’d probably rank him in the 30-21 range. Stacie had a nice profile on Chargois after her trip to spring training. If you want two other prospects to slide into what are the now-vacant No. 99 and 100 spots, I’d include right-handed relief pitcher Andre Scrubb (2016 8th round pick) and catcher Ramon Rodriguez (2016 30th round draft pick). And Valera would be in the Top 100, now that Mieses’ exodus has opened a spot. Update (4/2/18, 3:10 p.m.): Osiris Ramirez (No. 84) was also released. So if you want a replacement, let’s go with shortstop Eddys Leonard, an international amateur free agent (signed July 2, 2017) out of the Dominican Republic. Update (4/6/18, 1:05 p.m.): Miguel Urena (No. 72) also got the ax, so his replacement shall be right-handed pitcher Max Gamboa, the Dodgers’ 2017 18th-round selection out of Pepperdine University. He throws hard. Summary: Rios would have fit in well in the 80s or 90s baseball, as he’s kind of a throwback hitter. He’s a legitimate power hitter who stays balanced through his swing. His swing gets long sometimes, but his hand-eye coordination and strong hands help him make up for that. He has a classic left-handed fly ball swing. He has power to all fields and produces at least average bat speed. He’s more than just a power hitter, as he makes a fair amount of contact for a pure power hitter. There’s some swing and miss – especially in on the hands – but Rios covers a lot of the plate. He struggles a bit against lefties, but he has shown at least some ability to hit lefties. He’s not much on the bases, as he’s Adrian Gonzalez-like on the base paths. Defensively, Rios is limited to first base. He’s slow, doesn’t have a lot of range and his plus-arm is wasted at first. And even at first base, he’s maybe a fringe-average defender. At third base, he’s well below-average and shouldn’t really be playing there unless it’s an emergency. He has a few innings in both corner outfield spots, but his foot speed and lack of athleticism doesn’t give him much of a future in the outfield. Rios will go back to Triple-A to work on his deficiencies at the plate – and they aren’t much. If he shows he can make a little more contact or become a more patient hitter, while maintaining his power, he could be a first-division starter at first base or designated hitter. If this is the version of Rios we’re getting, he’ll be a solid platoon player with big power potential. A Mark Trumbo comp has been thrown on him, and it isn’t far off. Summary: Signed as a shortstop, Santana switched to the mound in 2014. He got on the map after a solid 2016 with Great Lakes in his first run through full-season ball. Pitching in a hitter-friendly environment, he handled himself well. He pitched well enough to earn a late-season promotion Double-A. He started the Drillers’ final game of the season – the Texas League Championship game. He pitched well – 6 IP, 6 H, 1 R (unearned), 1 BB, 7 K – but Tulsa dropped the game 1-0. On the hill, Santana has a 3-pitch mix. He sat in the 91-93 MPH range and touched 95 MPH early in the season, but by the end, he was sitting 93-95 MPH and topped out at 98 MPH. It has natural arm-side run to it that induces a lot of ground balls. His slider improved throughout the season. It features 10-4 break and good depth. He got more tilt on it as the season progressed, making it more effective against lefties. His changeup has flashed average, but it still lacks consistency. It’s a high-80s pitch that acts like a 2-seam fastball. For it to be a more effective weapon against lefties, he’ll need to make it look a bit less like the 2-seamer and more like a true changeup. Santana works from the first base side of the rubber. He toned down his cross-body delivery during the season, but it’s still there. He delivers pitches from a three-quarters arm slot, helping him get the natural run on his fastball. Because of it, he may not ever have anything better than average command, but with plus-stuff, he might be OK. He has topped 111 innings in each of the last two seasons, so his stamina is still improving. His projectable frame has room for some good weight, but odds are he won’t add much more. After finishing the season with the Drillers, Santana will head back there to begin the season. He should get a promotion to Oklahoma City before season’s end, and there’s an outside shot he makes it to Los Angeles, as he was added to the 40-man roster in the offseason. If everything clicks, he could be a solid No. 3 starter. If he has to move to the bullpen, he has good enough stuff to be a late-inning reliever – possibly a closer. Summary: Kendall was viewed as a Top 10-15 prospect heading into the 2017 draft. A few days before, it seemed he started sliding down teams’ draft boards. The Dodgers took advantage of that and took him with their first pick. The reason for the slide wasn’t his athleticism, defense, power potential – it’s his hit tool. Kendall’s swing is, let’s say, a work in progress. He sets up standing straight up and down with a slightly open stance and his hands at chest-level. He has a quick load and brings them back before stepping forward. When his hands come back, he lifts them to about shoulder-level. He has a quick bat, but not enough to make up for all the extra movement in his pre-swing. Maybe changing his hand position could help improve things because at present, there’s too much he has to do to get the bat into the hitting zone. When he does get it there, he makes loud contact with a level swing that has some loft and potential for more loft. He’s a quick-twitch hitter who has sneaky strength. Since turning pro, he has tried to add a leg kick. It was more prevalent in the instructional league, but he seems to be back to more of a subtle leg kick this spring. Defensively, Kendall is a legitimate plus-plus defender in center field. He gets excellent reads, has plenty of range and a good arm. Even if he never fully develops as a hitter, he’ll make it to the majors on the strength of his defense and speed. And speaking of his speed, he has double-plus speed as well. It hasn’t led to much in the way of efficient base-stealing, but he has a chance to be a 30-stolen base guy if he learns the art. Otherwise, he’ll be a burner on the paths. It’s all about potential with Kendall. He has the loudest tools of any position player prospect and might have the highest ceiling of any prospect in the system not named Buehler. He could begin the season back in Great Lakes before getting the call to Rancho Cucamonga. The results won’t be as important as his process and the adjustments he makes. He’ll have to keep adjusting as he climbs the ladder, but this isn’t the first time the Dodgers are betting on a premium athlete, and it won’t be the last. His ceiling is of a first-division center fielder with good pop. He’ll probably never be a .300 hitter, but if he works out the issues in his swing, he could hit enough to be an everyday player. Weaknesses: Some swing-and-miss, physical enough to hold up behind the plate? Summary: A late-riser in the 2016 draft, the Dodgers took Smith with the draft pick they received for Zack Greinke signing with the Diamondbacks. He originally profiled as a solid contact-oriented hitter with gap pop – not unlike Austin Barnes. But he showed a bit of a power surge in 2017 that may separate himself from Barnes a bit. He broke a bone in his right hand on a hit-by-pitch in his first game with Tulsa, so basically all his numbers came with Rancho Cucamonga. He did shine in the Arizona Fall League, hitting .371/.452/.565 in 73 plate appearances. That has folks more excited than what he did in the minors last season. Like his physical frame, Smith’s setup at the plate is compact. He has a slight bend in his knees, but his upper-half is more bunched up. His hands are at shoulder-level and he’s quiet pre-pitch. He loads and uses his quick hands to bring the bat through the hitting zone with above-average bat speed. He has implemented a big leg kick that has tapped into his power potential. Because of this, his contact numbers have dipped, but his fly ball rate has increased, and he has shown a little power to more than just the pull field. He has a good eye at the plate, even if he does strikeout more than he used to. He’s the most advanced defensive catcher the Dodgers have in their system. He calls a good game, is extremely agile behind the plate and has consistent sub-1.9 pop times thanks to a strong arm and quick transfer. He’s great at blocking balls in the dirt and is an excellent framer. He’s one of the best defensive catching prospects in baseball. Smith is probably good enough to go to Triple-A, but getting some time in Double-A could be good for his development. He will see OKC at some point this season, but not to start. He has the ceiling of an everyday, first-division catcher with pop and on-base ability. Summary: Diaz was the Dodgers’ second-largest international amateur signed during the 2015-16 period. While his numbers haven’t yet lived up to expectations, he’s super toolsy and could be on the verge of a breakout in 2018. He saw his production increase when he was promoted to Tulsa for the last couple months of the season. He also earned a trip to the Arizona Fall League, where he posted a .309/.356/.409 batting line. Not as twitchy or athletically gifted as Kendall, Diaz is a much more polished hitter and has a chance to be a plus-hitter. He has an open stance and is straight up and down and his hands at chest-level. As the pitcher is delivering the pitch, he crouches and closes his stance with a moderate leg kick. He then brings his bat through the zone with above-average speed that helps him make loud contact. He still has a bit of a flat swing path, leading to more grounders and line drives, but he’s working on elevating the ball in hopes of tapping into his 20-home run potential. His swing gets a little long at times, but his above-average bat speed helps make up for it. He has a good eye at the plate, but he’ll expand the zone sometimes, which leads to higher strikeout numbers than you’d expect from a guy with his hand-eye coordination. Diaz has split his time mostly between center- and right field in his pro career. He can handle center field in the minors, but he might be a bit exposed there in the majors. He could be a part-timer out there, but he fits better in right field at the next level. And he has plenty of arm to play right field. While he’s a borderline plus-runner, Diaz hasn’t seen that speed translate to stolen base numbers. His career stolen base success rate is 42.1. That’s … bad. His speed is much better utilized by taking extra bases and being a guy who can routinely go first-to-third and by being a rangy corner outfielder. With just a little more than 100 plate appearances above A-ball, a trip back to Tulsa to start the season is probably in order. He should see Oklahoma City before season’s end, much like he got to Tulsa before the end of last season. He could be a first-division outfielder in the mold of a poor man’s Lorenzo Cain (but not as good defensively). Summary: Alvarez has some of the best pure stuff in the system, but he hasn’t been able to put it all together just yet. He’s armed with a 94-98 MPH fastball and tops out in near 100 MPH. While it has premium velocity, because he can’t command it the way that’s needed, it gets hit around a bit. His slider is a mid-80s pitch that features tight break and depth. Like with all his pitches, the command of it isn’t great, which actually makes it play down a bit. He throws a low-80s curveball that sometimes crosses paths with his slider, making more of a slurvy offering. His changeup is a work in progress. It’s a mid-80s pitch that features good fade when he throws it correctly. But it’s clearly lagging behind his other pitches. All his pitches induce a fair amount of ground balls, and he’s only given up five home runs in 151 2/3 career innings. His delivery is so free and easy it almost looks like he isn’t trying. But he is and he delivers his pitches from a high-three quarters arm slot. He has trouble repeating the release point, leading to some spotty command. He has gotten by on his premium stuff to this point, but the command/control will have to improve if he’s to remain in the starting rotation. If he can get better at tunneling, the sky is the limit for him as a pitcher. If he continues to struggle with command, he could end up in the bullpen. That wouldn’t be all bad, but it would be disappointing considering the arm talent Alvarez possesses. He’s the most enigmatic prospect in the system. Alvarez should spend most of the 2018 season with Tulsa. He could get a late-season promotion to OKC, should he handle his second assignment to Double-A well enough. He still has No. 2 starter upside, but his likely future is as a back-end starter or power reliever out of the bullpen. While he’s 22, he still has fewer than a season’s worth of innings under his belt. He might be a guy who breaks in later once he has fully matured – both physically and mentally. Summary: White is in the same kind of boat as Alvarez. They both have great stuff, but the lack of innings since turning pro is a bit of a concern. White lost four weeks to fractured toe that saw him go to the Arizona Rookie League for a 3-game, 7-inning rehab assignment. Afterward, he was promoted to Double-A Tulsa to finish the season. His fastball is a 93-96 MPH pitch that touches 98 MPH on occasion. It features sinking action and bores in on right-handers. He gets a fair amount of ground balls with it. He backs it up with a true hammer curveball in the low-80s. It features true 12-6 break and induces a lot of swinging strikes. It’s his best breaking pitch. He also has a hybrid slider/cutter that checks in around anywhere from 85-90 MPH. It features good tilt and some depth. White also has a changeup mid-80s changeup that is lagging well behind his other three pitches. He might ultimately scrap the pitch if he can’t be more consistent with it. White has a clean and repeatable delivery. He works from the first base side of the rubber and has a traditional wind-up and turn on the rubber. His front foot lands and his arm is in good position to deliver a pitch. He has a quick arm and delivers his pitches from an almost over-the-top arm slot. He gets on top of his pitches and has good downward plane on his offerings. While he has solid command, there are times when his mechanics get out of sync, leading to some inconsistent command. It could ultimately lead to him moving to the bullpen, but we’re a way off from that. The Dodgers plan to start White with Tulsa, and there’s a chance he gets a promotion to OKC at some point. He has some things to work on, but he’s a premium pitching prospect. He has No. 2 starter upside with a better chance of reaching that level than Alvarez. He also has a better chance to be a mid-rotation guy than Alvarez. But if his command doesn’t improve and he can’t withstand a starter’s workload, then he might be a multi-inning or late-inning reliever. Either way, if he’s healthy, he’ll reach the majors because he has premium stuff, good athleticism and is a smart pitcher. Summary: Verdugo was viewed as a pitcher by some when he was drafted in 2014. 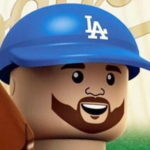 The Dodgers liked his ability, want and desire to hit and play the field, and it looks like they made the right choice. He has done nothing but hit since being drafted, but he still lacks in-game power. He has performed well against older competition at every level of the minors, thanks to a plus-hit tool. Not only does he make loud, consistent contact, with a smooth, compact left-handed swing. He sets up straight up and down with an open stance and slightly bent knees. He holds his hands at shoulder level while the bat rests on his left shoulder. He closes off as the pitcher delivers and his bat comes off the shoulder. He coils and turns his front half in slight before uncoiling toward the ball. He has above-average bat speed and a level swing path – the latter of which is a partial cause for his lack of over-the-fence power. His swing is geared for line drives and he sprays them all over the field. There is some raw power in his swing/frame, but he hasn’t tapped into it just yet. There’s a chance he never does, but his quick hands lead some to believe he might eventually unlock it. Even if he doesn’t, he’ll still pop double-digit home runs while hitting close to .300 and walking a decent amount. It’d be nice if he could add some loft to his swing, but some players just aren’t meant to hit the ball in the air. Still, Verdugo is young and still maturing as a hitter. He has played nearly three times as many games in center field as he has at any other position in the minors, but he doesn’t figure to play there too long in the majors. He’s a good athlete, but he’s not fast enough to play out there consistently. He could play there in a part-time role, but his eventual home is in a corner. As a former pitcher in high school, he has plenty of arm for right field. He gets good reads, but his lack of above-average speed will likely keep him out of there in a full-time capacity. He’s a good base runner who could swipe 10 or so bags a year, if he were so inclined. Verdugo is on the 40-man roster after making his MLB debut last season. With the Dodgers’ crowded outfield situation, he’ll go back to Triple-A to begin the season. He could get the call if there are a couple injuries ahead of him, but he could also be a nice trade piece come the deadline. He could be a starting outfielder in the majors who makes a lot of contact, can walk and will pop a home run every once in awhile. His floor is pretty high, as he should be at least a platoon player. Either way, he’s a valuable player to the Dodgers. Summary: Since turning pro, Ruiz has done nothing but hit. Even as a 17-year-old in the Dominican Summer League, he still hit .300. He was even better last year in the lower-levels. He really broke out in 2017 and should only get better as he progresses through the minors. A switch-hitting catcher is a rarity these days, but one who’s as young as Ruiz and has as much potential don’t come along every day. From the left side, Ruiz has an exaggerated open stance with a crouch. He waggles the bat before setting his hands at ear-level and a little away from his body. He does one more waggle as he recoils and closes his stance with a big leg kick. He uncoils and does a good job of keeping his front side closed before his hips open up as he brings the bat through the strike zone. He remains balanced and has above-average bat speed. He also has strong hands and wrists, coupled with his frame and bat control, leads some to believe there’s more power coming than he’s already displayed. From the right side, his stance is a little more traditional, but he still has the big load and leg kick. It’s a wider base and sometimes employs a leg twist rather than a leg kick. The bat speed isn’t as pronounced from the right side, but he still makes plenty of contact. His power is predominantly from the left side. Ruiz is a strong defender behind the plate. He has improved in every facet of the game since turning pro. He works incredibly well with the pitching staff, is a borderline elite framer and moves well behind the plate for a big kid. The biggest knock on him is his throwing. His arm is below-average right now and he’s still a bit shaky with his footwork and glove-to-hand transfers on throws. He’s a relentless worker and is doing his best to improve in this area. Even if he never becomes Ivan Rodriguez in terms of throwing, he’ll still be plenty valuable as a backstop. He doesn’t figure prominently on the base paths. His speed will only deteriorate throughout his career (as it does for every player), but he’s not a full-on base-clogger. He made it to Tulsa for the Texas League Championship Series, but that’s all the experience he has above A-ball. He’ll go back to Tulsa and should probably stay there the entire season. With catching ahead of him on the depth chart (not the rankings), the Dodgers have zero reason to rush him. But he could debut before his 21st birthday. He has the ceiling of a perennial All-Star catcher and a valuable asset on both sides of the ball. His floor is also pretty high, which is saying something for a 19-year-old. Another Victor Martinez or Yasmani Grandal is probably his best outcome. Summary: Buehler has elevated himself from mid-rotation starter when he was drafted to legitimate top-of-the-rotation guy – and that’s after he had Tommy John surgery. His comeback from it has been quite remarkable. His stuff is not only great at missing bats, it also induces ground balls. His fastball sat in the low-90s when he was drafted. Since TJ surgery, his velo has spiked. He now sits in the 95-98 MPH range and has touched triple digits a few times. He can sink it a bit, but the 4-seamer is the more effective fastball. He backs it up with two plus-breaking pitches – a wipeout curveball and slider/cutter. His curveball is an 81-84 MPH pitch that features sharp 12-6 break and the ability to miss bats. His slider/cutter is a high-80s/low-90s pitch that has tight break and varies between more of a traditional slider and cutter. He also has a mid-80s changeup that isn’t at the level of the other offspeed pitches, but it is improving. It features good fade down in the strike zone, when he gets on top of it. Buehler has drawn physical comparisons to Tim Lincecum. He’s a little taller than Lincecum, but the deliveries share some resemblance. He has some moving parts in his high-effort delivery that sometimes mess with his release point, leading to spotty command/control at times. It could also contribute to physical breakdown sooner rather than later. He delivers pitches from a high three-quarters arm slot that’s almost over-the-top. Despite being a little shorter than your typical starter, he’s able to get some downward plane on his pitches. He debuted in September in hopes of securing a bullpen spot for the playoffs. Ultimately, that didn’t happen, but he still struck out 12 in 9 1/3 innings. His future is in the rotation, which is why he’s going back to Oklahoma City to get stretched back out. He could (and probably will) get some starts in the second half, if not sooner. He has legit No. 1 stuff, but there’s a lot more that goes into being an ace than just stuff. More likely, he’ll be a strong No. 2/3 starter. If he can’t handle a starter’s workload, he could be a devastating late- or multi-inning reliever. Either way, the future is bright for Buehler. And that’ll do it for this year’s Top 100 prospects list. I hope you’ve enjoyed it, despite the delay in getting it published. Look for #notascout scouting reports on players throughout the season.